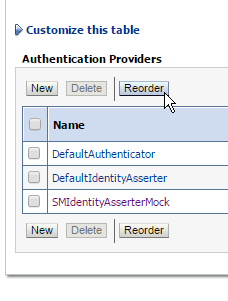 The company I work for is deploying a Single Sign-On solution between its major JEE applications using CA Site Minder. All these JEE applications uses the standard JEE authentication and authorization (JAAS), which is managed by the application server. 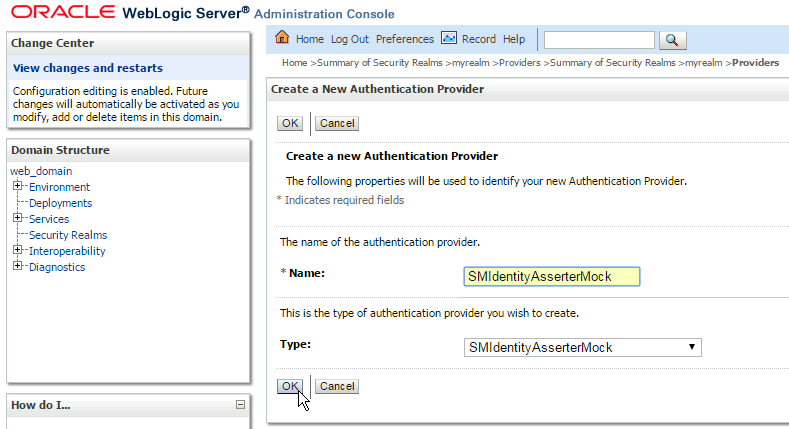 The overall reference architecture is to install SiteMinder Application Server Agent (ASA) on WebLogic Server’s machine (it will make available some new SM Security Providers to configure into the WLS security realm) and install SiteMinder Web Server Agent (WSA) on Web Server’s machine (Oracle HTTP Server in our case). 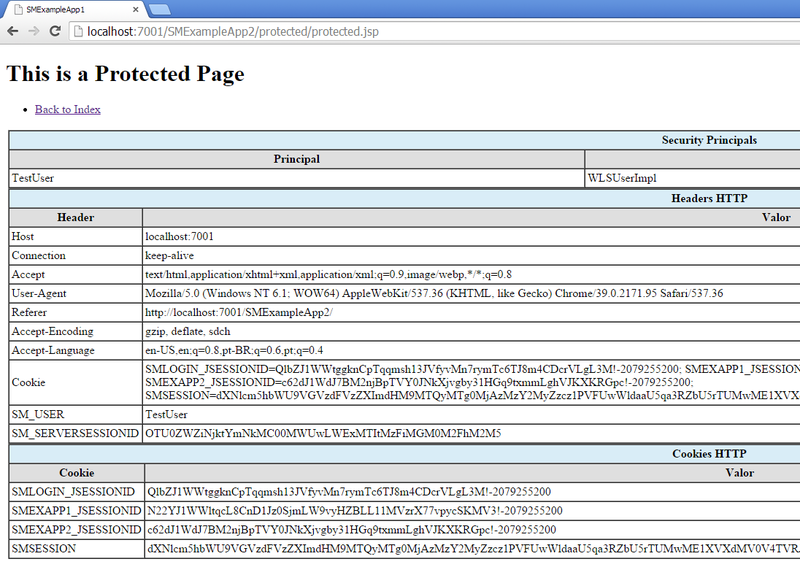 User sees the protected page (with his valid “UserPrincipal” in the security context). During this development, one of the major issues we faced was setting up the developers machines to make them able to integrate with SiteMinder in their local environments, because SiteMinder solution requires a lot of settings to enable each developer’s local WLS to connect to it, such as a full functional SM installation for which each developer need connectivity and countless settings on SM’s administration console for each developer machine, in addition to many other issues, like for example, if developer’s IP changes, then more configuration is needed… if SM is offline, then developer’s WLS not even starts… both SM and developer must have connectivity to the unified login page, and the token cookie (SMSESSION) must be set on the same domain that the developer’s local application runs, and many other issues. It goes on to become impractical as we talk about large or distributed development teams. 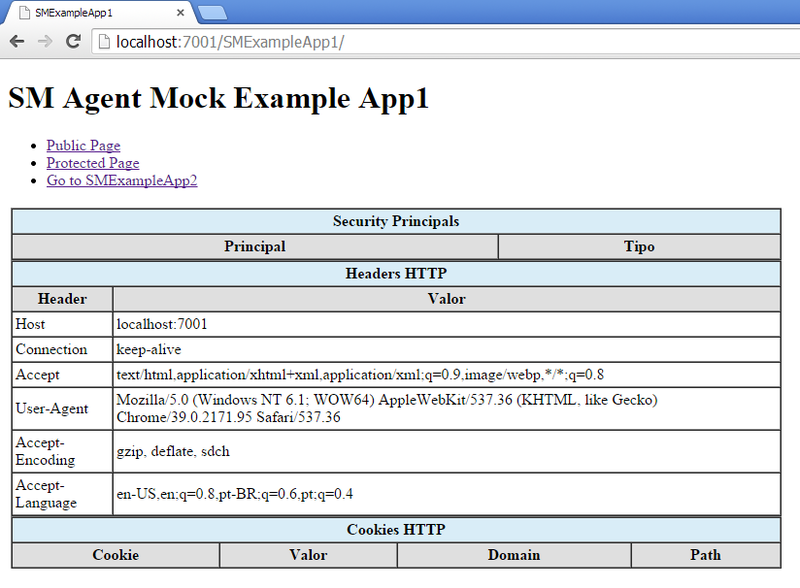 To solve this problem, I made a “Site Minder WebLogic Security Provider Mock” solution, which consists in a set of standard Java binaries that emulates the SiteMinder Application Server Agent behavior plus SiteMinder Web Server Agent behavior. This solution permits that developers can simulate a real SiteMinder SSO behavior in their local environments without need to any external dependencies, not even the SiteMinder. Depending on the mock configuration, it is flexible to emulate only the ASA behavior, only the WSA behavior, or ASA plus WSA behavior. 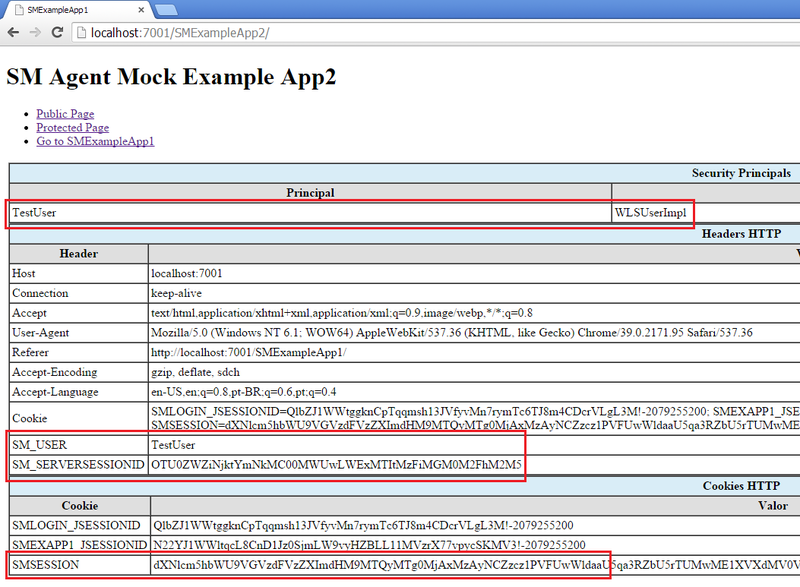 SM Example App 2 – it’s another web application identical to the above, just to test SSO between them. 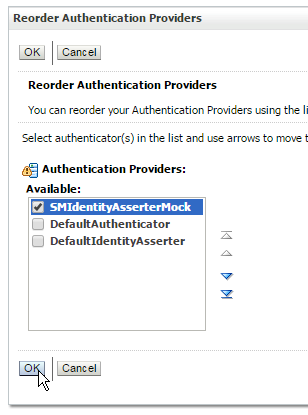 You can download the full SiteMinder WebLogic Security Provider Mock components here (click over zip file then “Raw” button). 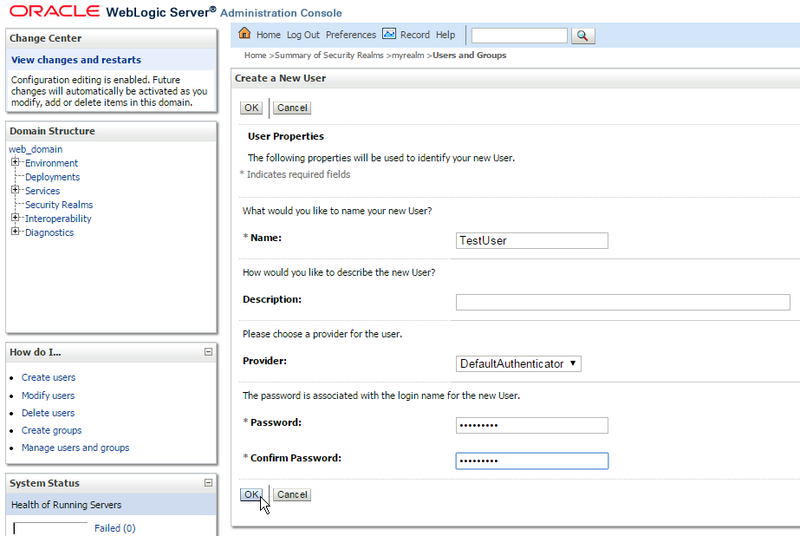 2 – Restart the WebLogic server. Protected Domains List of application contexts that will participate in the SSO. The mock agent will ignore any other context even if SMSESSION cookie is present. It’s similar to the “Domain” concept of SiteMinder. Config File Full path on filesystem where the “SMSecurityProviderMock-config.properties” file is present. 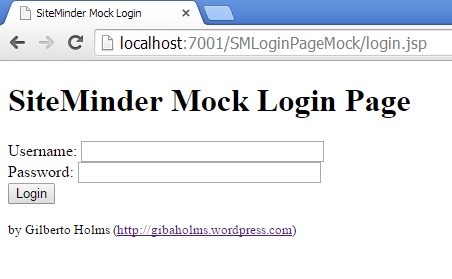 2 – Save changes and deploy “SMLoginPageMock.war” to the WebLogic Server (follow the default deploy process). Obs. 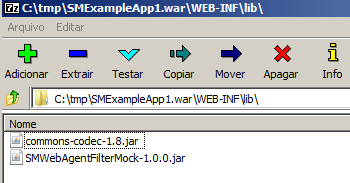 : to use this filter you have also to put the dependencies in your “WEB-INF/lib”, which are the “SMWebAgentFilterMock-1.0.0.jar” and “commons-codec-1.8.jar”. To the filter work properly, it also must be the “VERY FIRST” filter in you app filter chain, so it must be the first filter declaration in “web.xml” file. It also must be mapped to intercept all resources “/*”, and only “REQUEST” dispatch mode, to act precisely like a web server layer in front of all application requests. 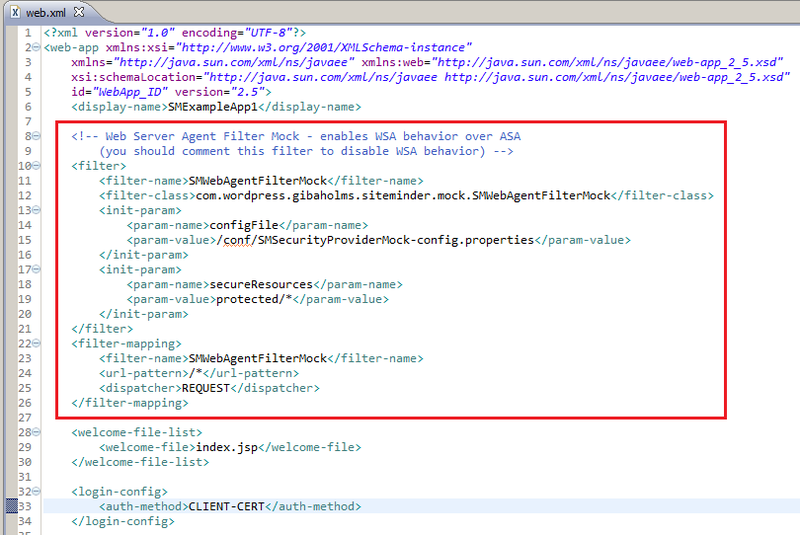 4 – Save changes and deploy “SMExampleApp1.war” to the WebLogic Server (follow the default deploy process). Do the same thing for “SMExampleApp2.war”. 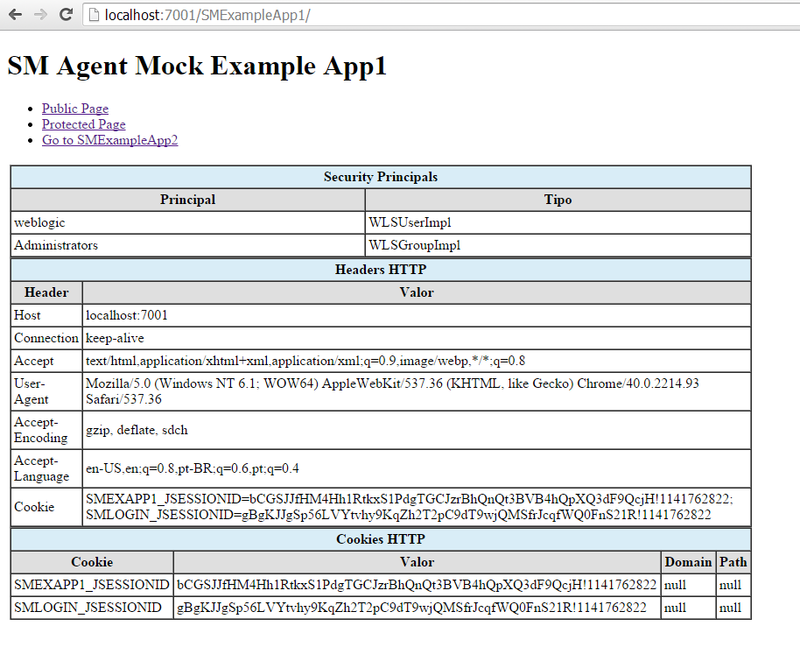 Web agent filter mock recycled SMSESSION, extracted information from it and injected SM_USER and SM_SERVERSESSIONID into HTTP request headers to be available to the next layer (like a real WSA would have done). 7 – As a last test you can force delete the SMSESSION cookie from your browser session or wait until its expiration, and the expected result is the login page being shown again for a protected resource access attempt. Your solution must provide a “Single Sign-Off” page also. 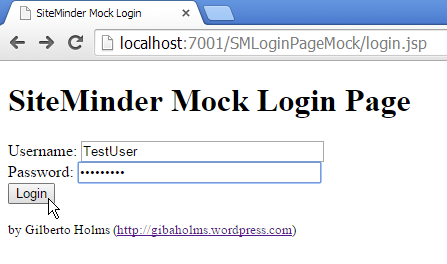 This can be easily accomplished by some servlet which removes the SMSESSION cookie from the client. But remember that only doing this is may not be sufficient, because the user principal can remain stuck into the specific applications Web Session (JSESSIONID). So, each of the applications participating on the SSO must implement some logic into a filter which compares this two cookie states and then invalidates the session whenever necessary (e.g. 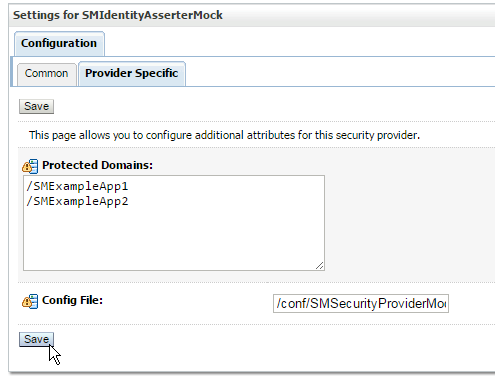 check the presence of SMSESSION and compare the current user principal against the SM_USER header). Obs. : notice that SMSESSION is gone, but the user principal still stuck into Web Session JSESSIONID, so your application must prevent this situation and handle accordingly. 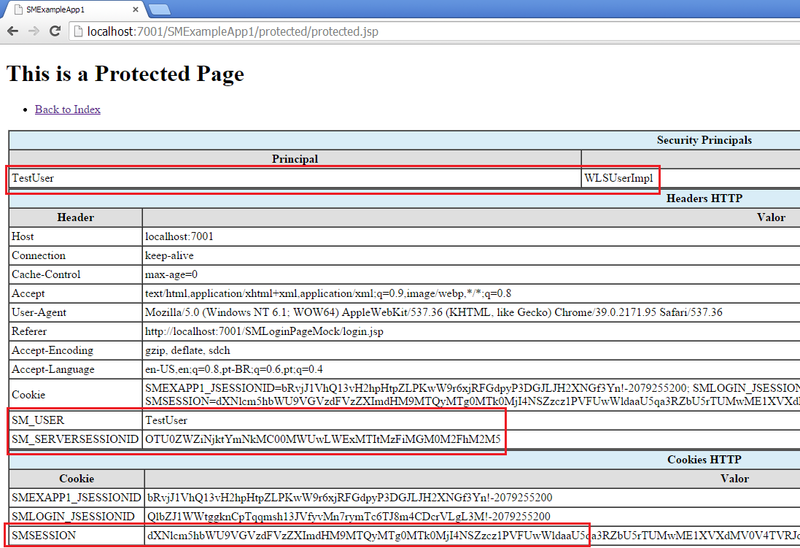 Protected None or Not Authenticated None Redirect to login page (by ASA) No Redirect to login page (by WSA). Obs. 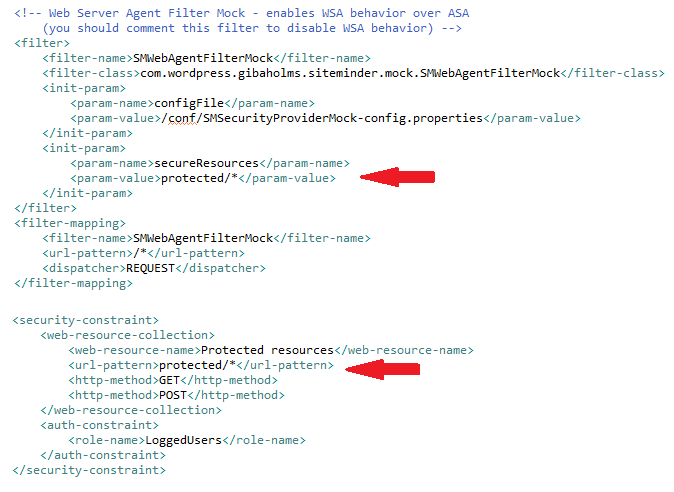 : using the SMWebAgentFilterMock, the first redirect will still be made by ASA and only the subsequent by the filter (due to JEE architecture restriction), but the result is the same. Hi Gilberto, thanks for sharing this valuable “kit”. I’m PM for a IAM implementation project (complete CA bundle) and maybe you could help me, if you please. I’m looking for something as a “cook book” on how to design brand new application for taking full advantage of CA’s environment. In other words, the recommended practices to design applications that will take full advantage of SM authentication features but also to explore the finer grain authorization and IM capabilities. I could fine many references on how to change/integrate existing applications but none on how to design one.